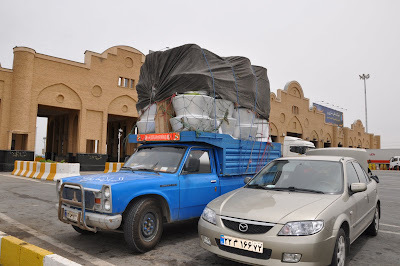 I thought driving in Morocco is a dreadful experience, well not until I have experienced Iranian driving culture. 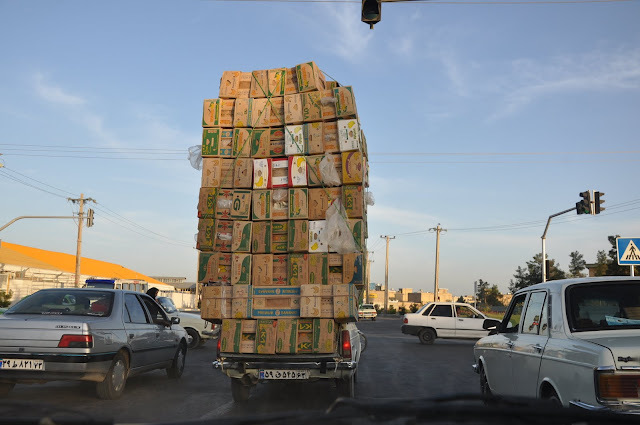 Truly, driving in Iran can be a nightmare. With most traffic lights blinking like Christmas tree, it actually serves no function at all! All cars will race through the madness to get across to another lane and distance between the cars is almost an inch to an inch. Iranian drivers happily ignore signs and of course the dysfunctional traffic lights. 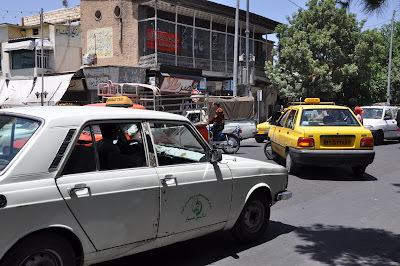 In one occasion, our taxi driver in Tehran got into the wrong junction and he drove backwards about 300 meters with amazing speed to get to the main road again. We were very frightened but couldn’t help bursting into laughter. That’s not it…even our Iranian friend drove backward on the highway to Kurdistan because he missed a junction to another highway. So backward driving seems to be a common phenomenon in Iran :). While the passengers’ vehicles were squeezing themselves to navigate the traffic, many vehicles transporting goods casually carried as much load as they could. 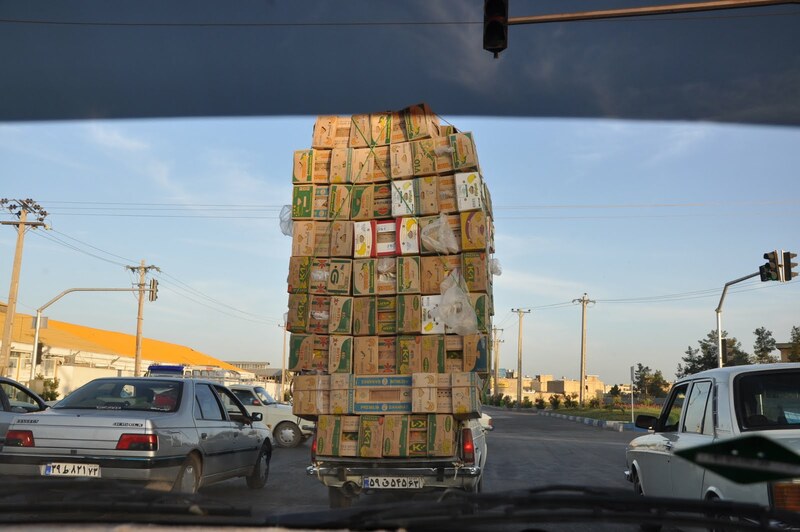 Just next to our taxi on a highway in Shiraz were some Western guys in another taxi having a good laugh while taking a picture of an overloaded small truck. We had a good view of the overloaded truck right in front of our taxi. 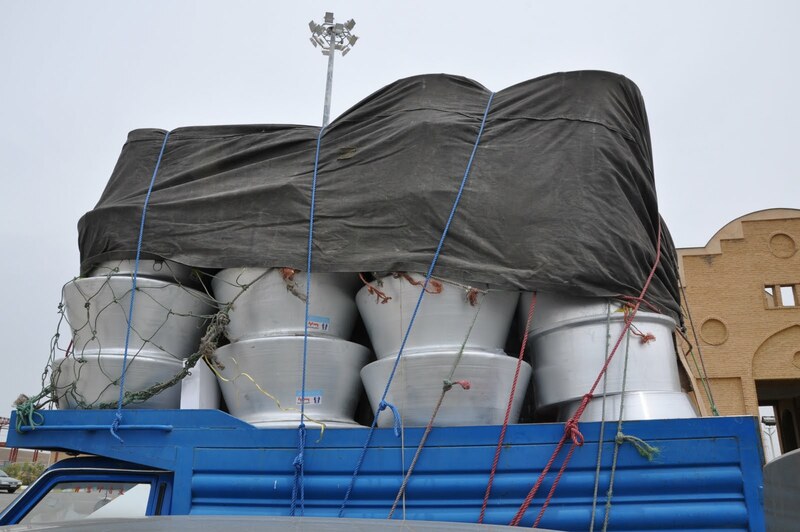 It was reported that road accident is the primary cause of unnatural deaths in Iran and about 17,000 people died annually. 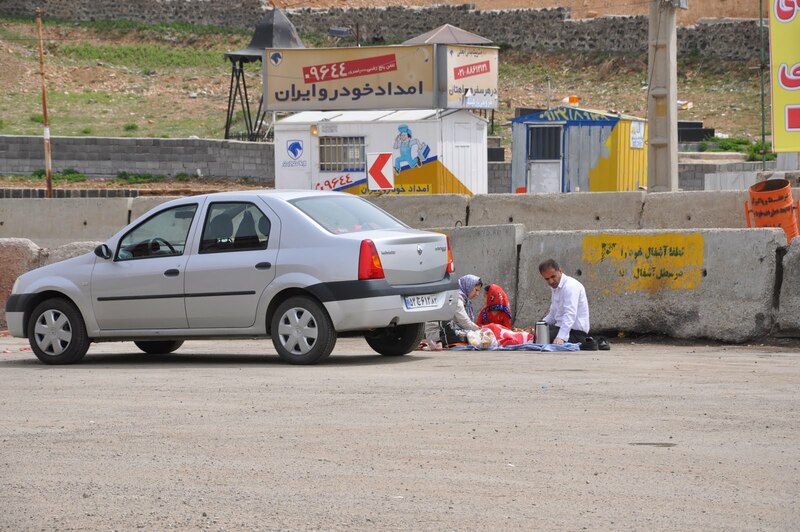 Although my friend offered that I drive on the Kurdistan highway, I declined as I do not wish to add on to the statistic! 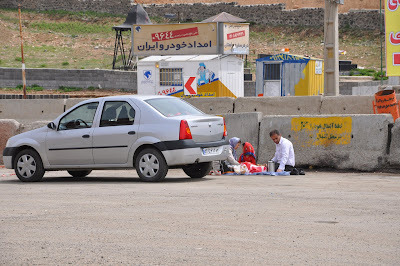 It is best to use a taxi or an Iranian driver who is much more accustomed to their driving culture. A load..... just tied with strings!